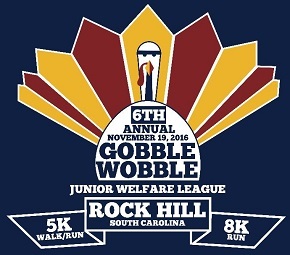 Get your Turkey Run in early and run the Gobble Wobble this Saturday in Downtown Rock Hill! 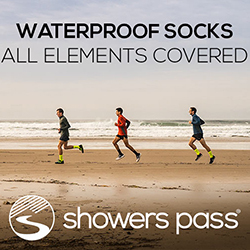 The race offers two distances, an 8k and a 5k. Best of all, feel good knowing your race fee will go directly to the Jeffrey Lee Williams Foundation, a mission to promote awareness related to the dangers of carbon monoxide. Jeffrey Lee Williams was a smart 11 year-old boy with a big heart for others from Rock Hill. Jeffrey and his mother, Jeannie Williams became victims of carbon monoxide on an overnight trip to Boone, NC. The hotel room they were staying was located directly above a faulty pool heater. Carbon monoxide claimed Jeffrey’s life as he played on his iPad. Due to Jeffrey’s tragic and preventable death due to CO, his family started a foundation with the singular mission to promote awareness related to the dangers of CO.
As a collaborative effort, the Fire Chiefs and EMS personnel representing York County with the Jeffrey Lee Williams Foundation want to initiate a county-wide effort to make residents and emergency responders safer and more aware of CO. They have requested funds to provide the 18 fire departments in York County with 2,000 CO alarms to install in residential homes, 45 portable always-on monitors for York County first responders, and 27 hand-held CO fingertip diagnostic monitors for EMS departments. The race will begin at the corner of Main Street and Saluda Street in downtown Rock Hill, SC. Both the 8k and the 5k begin at 8:30 AM.